3 day weekend, my lady friends. Take it in. Today I am sharing the links I loved this week and you can let me know what you came across this week that you just cannot resist. Deal? Show and tell. -So I discovered Gizoogle this week. Let me just tell you, changed my life. Just type in your website address into this search engine and it translates your site/posts into gangster speak. I am thinking of conforming my entire website to this in the future. Beware. -I came across this amazing work by Clare Elsaesser. I am so hooked by the femininty and anonimity of each and everyone of her paintings. They are whimsical, beautiful and dark all at the same time. -So impressed with the DIY ribbon curtains my girl Elizabeth turned out from Little Black Door. Makes me ever so envious that I cannot produce the same. Get it girl. 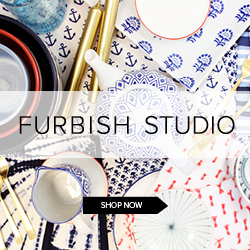 -In case you didn't know, my favorite store of all time, Furbish, is having 15% off of EVERYTHING this weekend to honor the holiday. Stock up on everything that is not boring in life. 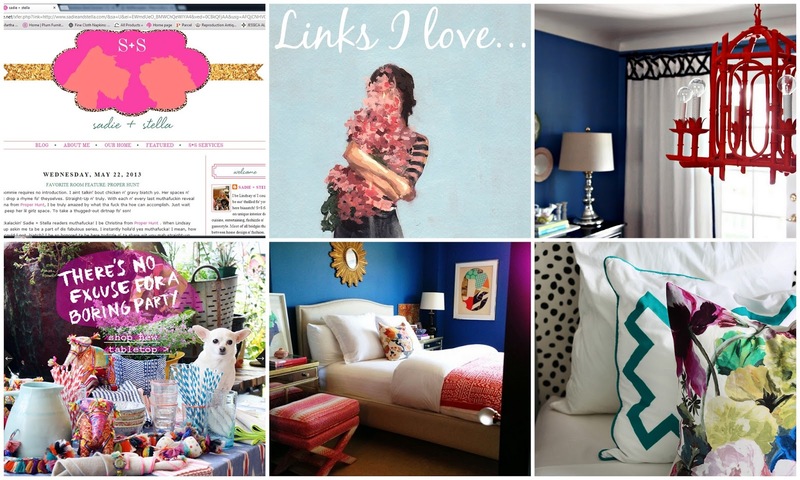 -Totally digging the bitty bitty spaces designed on Apartment Therapy. This space especially rocks my world with the moody walls and colorful accents. -Has everyone seen this studio apartment reveal on The Hunted Interior? Let me just tell you this. The space has more oomph in 500 sq ft. than most do in their entire house. Striped refrigerator? Yeah that happened. Love Claire - duh! So wish something was big enough for the dining room. So not doctor's office. Clicking over to the studio space tour immediately! Thanks for the deal alert at Furbish. I am headed over. Thanks for sharing the Shelter Redo Lindsay! I too am obsessed with Elizabeth's ribbon detail. Genius! Awesome links!! I love Elizabeth's curtains...and that gizoogle thing?? need to check that out! Girl, if I can knock those curtains out, anyone can! Thanks for the shout out. Now I'm off to spend the afternoon gizoogling. 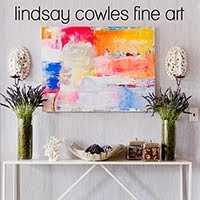 If you also want to get some other original art, go to www.dailypaintworks.com. It is a website similar to ebay....I have purchased quite a few pieces there. I saw this apartment reveal on the Hunted Interior and I just loved it! OH em gee isn't gizoogle amazing? I die laughing every time I get on that site!! Love all these links! 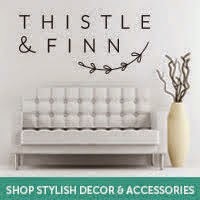 I need to check out the Hunted Interior!! Have a great weekend love! love the gizoogle link hilarious. thanks for sharing the love! Yes. That striped fridge was RIDIC!